Below is a small sampling of work we have completed for clients ranging from small start-up to Fortune 500 corporations. No matter big or small, the same level of detail and hard work go in to each and every opportunity given...our goal is to help our clients be successful in communicating with their audience. A merger of two of the giants in the trucking industry, and a new identity. New marketing materials were needed to push to the salesforce in a short time span. This new look follows the identity and embraces the feelings of movement, precision and flexibility – all mantras of the new brand. 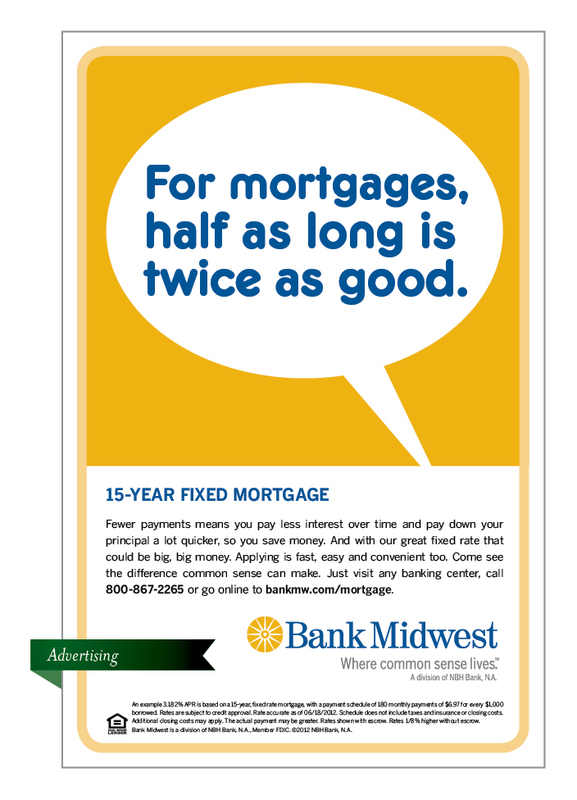 Bank Midwest is a division of NBH Bank, headquartered in Kansas City, Missouri. 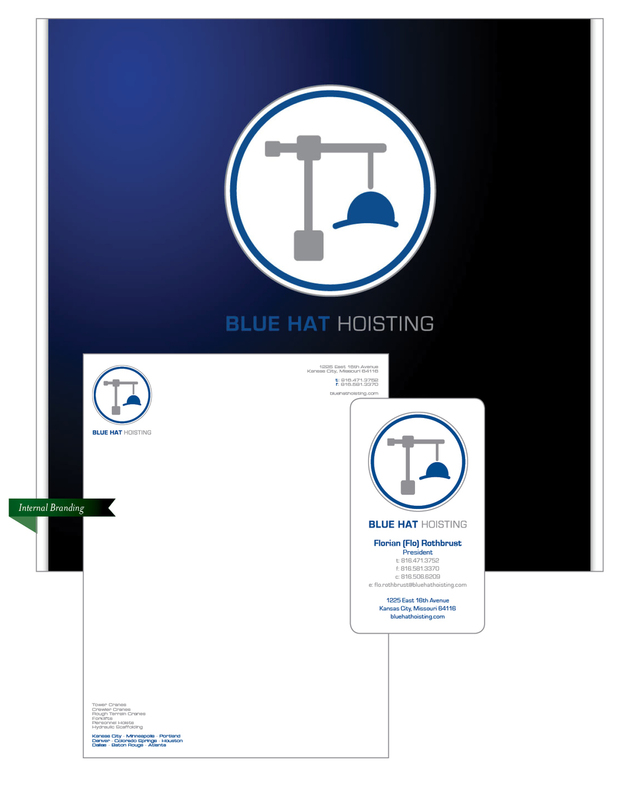 We worked closely with the in-house marketing group to create a variety of branding materials and assisted in launching branding materials for many branches located in and around the metropolitan area. 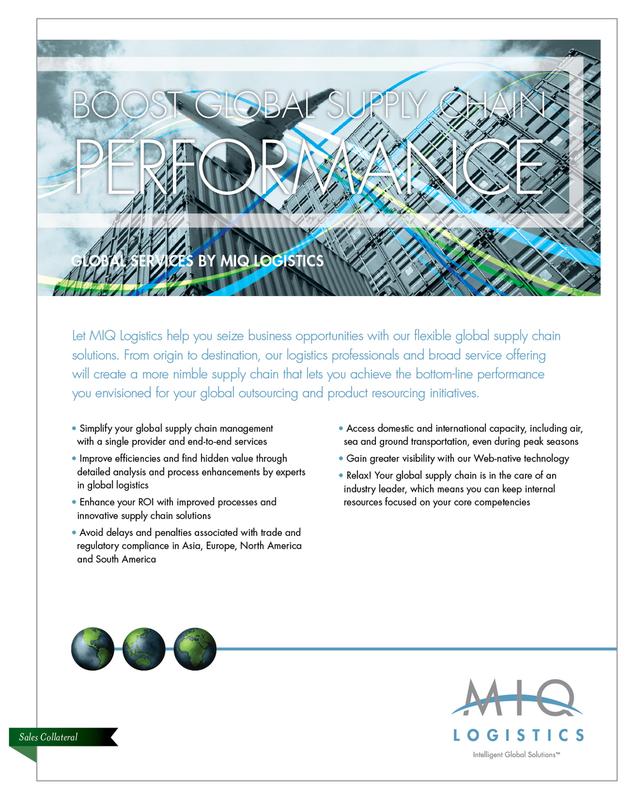 MIQ Logistics is a leading provider of global, transportation and distribution services in North America, Latin America, Europe and Asia. 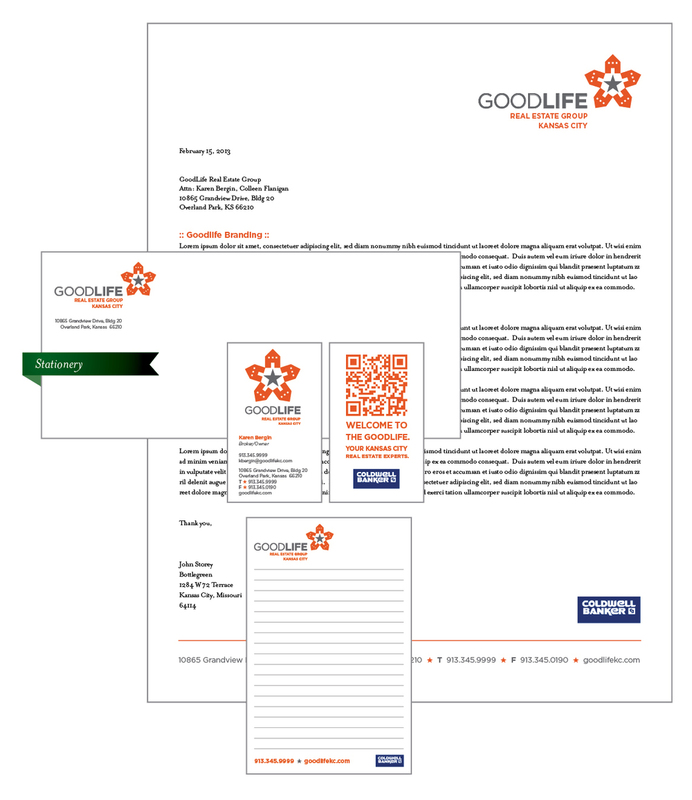 Working with the marketing communications team, we have created branding materials for the corporate office, as well as collateral to be used in offices around the globe. 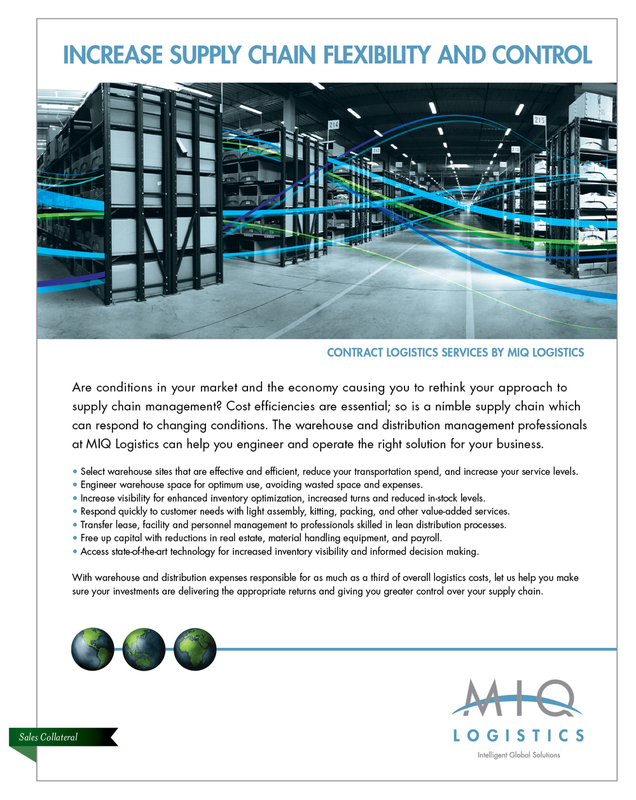 As a long-standing client, we have been able to work very closely with MIQ Logistics to develop a deep understanding of their business, as well as working on a huge variety of projects ranging from corporate office design to trade show materials and one-off pieces. JE Dunn Construction is headquartered in Kansas City, with national offices and construction sites in a wide variety of disciplines ranging from design/build to turn-key operations. Our work with JE Dunn includes high quality projects ranging from custom proposal graphics and one-off presentations to corporate identity and internal communications materials. Good Life Real Estate Group is a newly rebranded Coldwell Banker office located in Overland Park, Kansas. 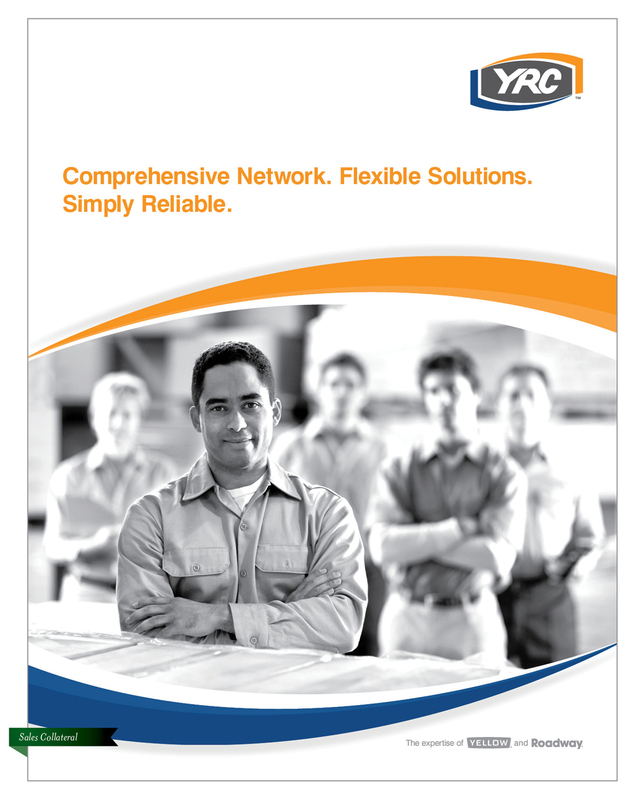 Our work included a new identity, brand guidelines, website, flyers and pocket folders. 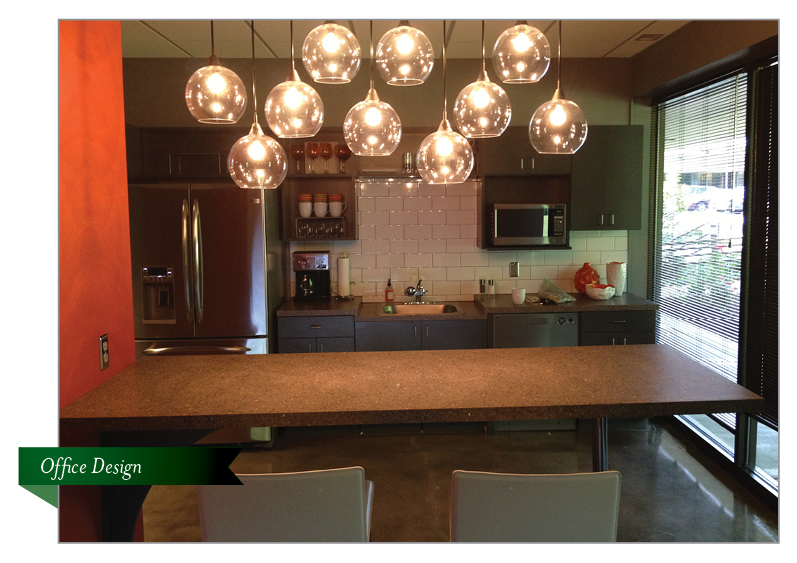 Helping to launch a new brand allowed me to touch each and every facet of the new materials. 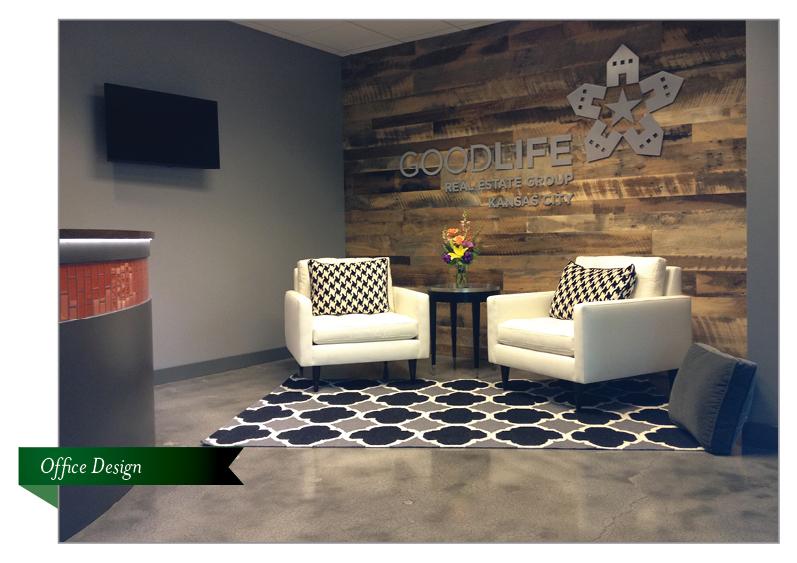 While working with Good Life Real Estate Group, we were also asked to assist in the design of their new corporate office, located in Corporate Woods office park of Overland Park, Kansas. 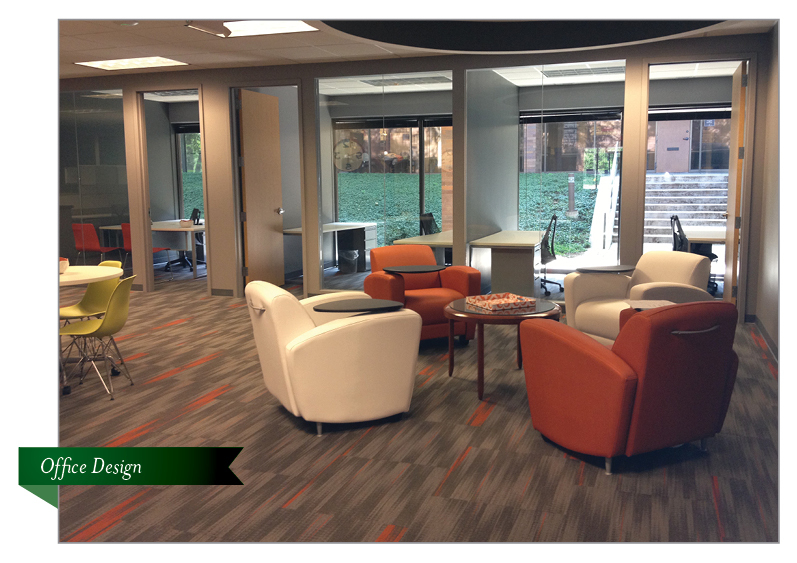 We worked closely with the owner and leaders to choose building materials and furnishings, as well as design of branded lobby wall and conference room doors. Metropolitan Community College – Business & Learning Solutions school is located in Kansas City, Missouri. It is a learning institution that prepares students for entering the work force after graduation by providing real-world training from experienced faculty directly from the field. 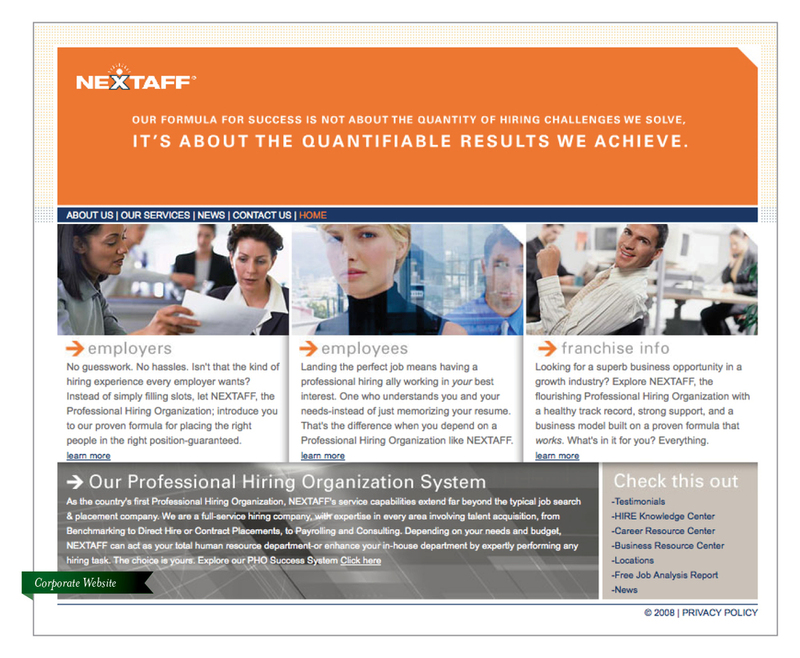 Nextaff is a workforce strategies provider specializing in helping businesses in all sectors acquire, employ and support talent. Working closely with the leaders at Nextaff, we were able to devise a strategy based on "scientific" equations, tailored to fit their needs. 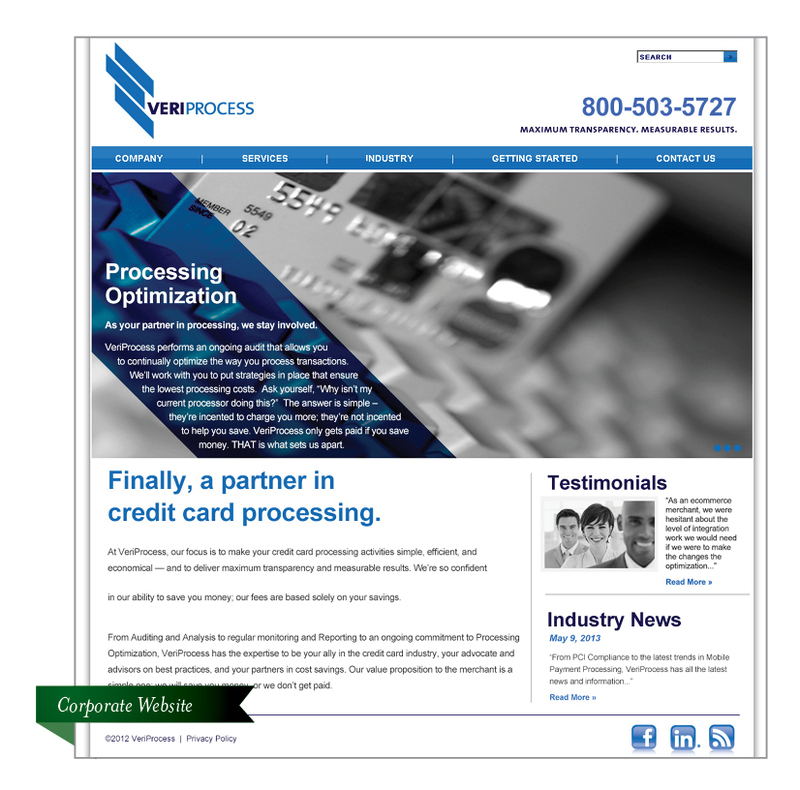 VeriProcess is a full-service merchant credit card processing firm with one goal -- to save their clients money through creating a transparent environment. Working with the key stakeholders in the startup, we developed a brand identity to use as the foundation for all marketing materials. Utilizing these components all marketing pieces were created to successfully get them up and running. Sometimes I'm lucky enough to be tapped to work on a passion project like a startup food truck! 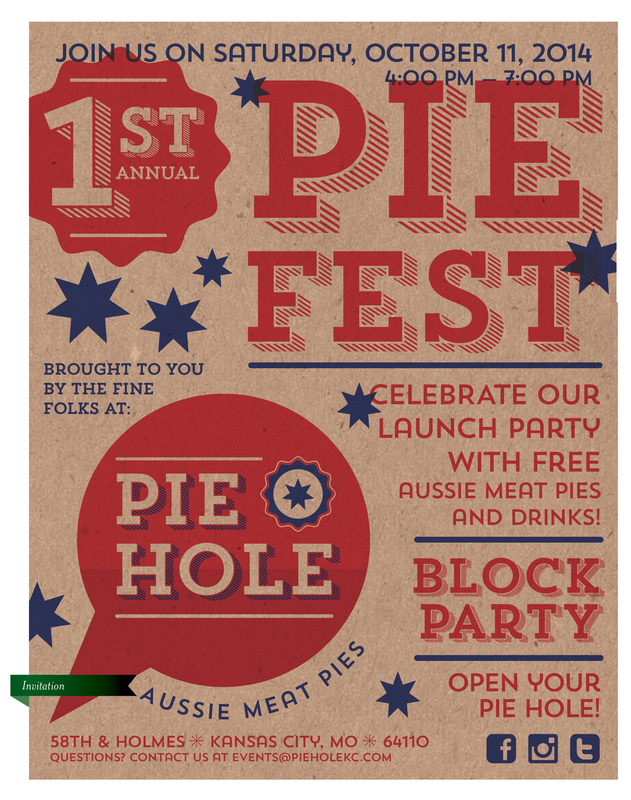 My friends at Pie Hole needed to hit the ground running, and to have a logo and brand materials that gave them the credibility to look like an established setup. We worked together to develop the logo, menu, party invitations and website in a very short time frame.